We’ll work with you to understand the most important aspects of building your new home: your amenities, features, number of bedrooms and bathrooms, specific location, payment methods, and more. We can discuss a construction budget and help you manage your overall expectations for the project. Eliminate all the items on your to-do list by calling the experts at Kirby Custom Homes. We have many years of experience in the custom home construction industry and work hard to ensure your home is built to your exact specifications. Darren Kirby is detail oriented, personable, and deeply committed to his work, his family, and his church. He praises God for the knowledge and learning abilities He has blessed him with. His dedication to customer service is reflected in the countless custom home projects he has completed. Looking to build a new home? 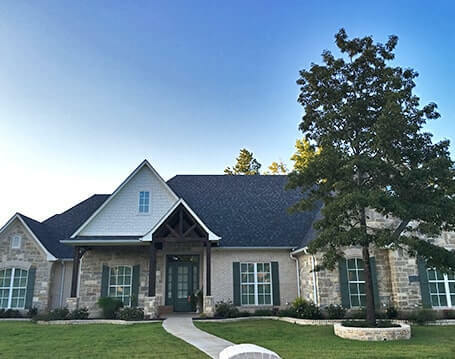 With every new custom home we build, our mission is to raise the standard of custom home building in East Texas. Our commitment to you is to offer the very best in design, materials, workmanship, and customer service at competitive pricing. 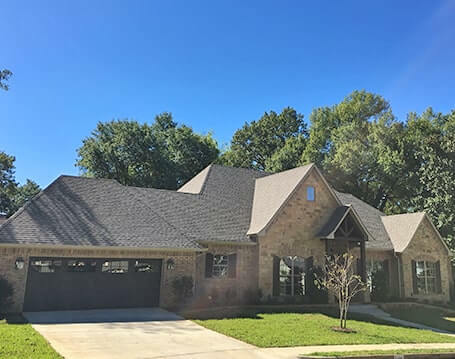 At Kirby Custom Homes, we understand the decision to build a new home is much more complicated than simply evaluating your cost per square foot. The design of your home, the quality of its construction, and the overall functionality it provides for you and your family must be taken into account. Every step of the process is important – that’s why Darren Kirby is ready to stand by you as a confident, competent ally until you move in. Darren seeks to incorporate his clients’ ideas along with his own to achieve the most attractive and highly functional custom home possible. Having worked with countless subcontractors over the years, he’s able to know when things are done right – the first time around. 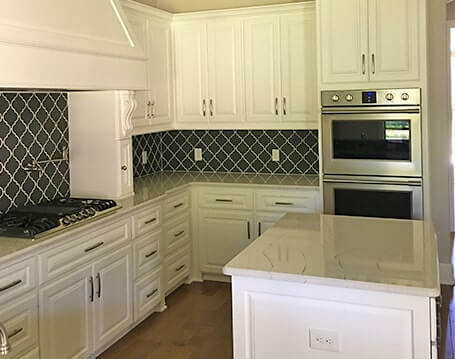 When you choose Kirby Custom Homes, you know that you’ll have the one-on-one service of an expert craftsman with no supervisor and no bureaucracy to deal with. 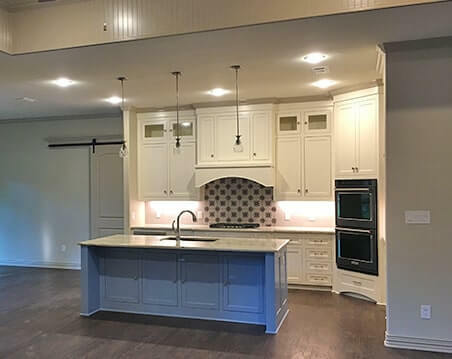 We’re blessed to be able to offer custom home designs and construction to our customers in East Texas. Contact us today to speak with us and begin planning your new custom home! "In March 2011, my husband and I met with Darren Kirby with Kirby Custom Homes seeking advice of building a new home in Palestine TX. We had a list of features we wanted to incorporate and a few home plan prints from a magazine to give him an idea of what we were thinking. Within weeks Darren had custom drawn plans for our home and met with us to go over them to answer any questions we had. We were thrilled with the plans and were ready to get started. Everything became real when that concrete slab was poured, I of course just couldn’t quite visualize it all and from the slab it seemed small but Darren and my husband assured me it would look much different when the framing began, and they were so right! During that time it seemed like the process was slow but before I knew it the house was completely framed, roofed, dry-walled, and bricked and was even more beautiful than I had imagined. Along the way there were many design details that we added or changed and Darren made sure that every single one of our requests were made perfect and that we were happy with them. Over the years we have kept in touch with Darren and are now looking to add another structure to our property and we would not have anyone else do this for us but Darren. We know he will make it exactly the way we envision it and will guide us through every design process with skilled experience. If we had to do it all over again, Darren would be our #1 choice every time! Thank you Darren, for making our dream a reality!" "We cannot say enough about Kirby Custom Homes and Darren Kirby’s amazing and multiple talents! From his meticulous rework of our architectural plans (catching many mistakes and making many improvements) to overseeing ALL the details of completion by a tremendously skilled and talented group of subcontractors (keeping everyone on task, on time, and happy), Darren has made this project a real joy. Working long distance from Houston on our Tyler “forever house” was a serious challenge, but Darren kept us informed, always consulted on options, and was literally hands-on in every aspect of the construction. From original framing to installing light fixtures, constructing beams to mowing the newlyplanted lawn, Darren was there. When we needed something adjusted, the response was always “can do”. We ALWAYS felt like his #1 priority. There is no doubt we will remain fast friends with this gentleman of great vision, energy, humor, and faith, and we would heartily recommend him to anyone wanting a totally honest, reliable, incredibly talented and forward-thinking builder to execute their unique and special plans." "My husband and I were blessed to be able to build our first home in 2012. After interviewing a number of contractors, we chose Darren to build our dream home. Darren noticed a number of issues while looking over our building plans, and impressed us with his detail orientation. He stayed involved on a daily basis, and was very communicative and responsive to us. He has high quality standards and insist on doing things the right way. We love our new home and highly recommend Darren for anyone else looking to build." "Darren is honest, caring and shows so much integrity in his work. He communicates easily with his customers. We love the house he built for our Mother! You will love the finished projects he does for you too. Keep up the great work Darren!" Proudly Serving All Customers in Flint, Tyler, Bullard, & Smith County, Texas.